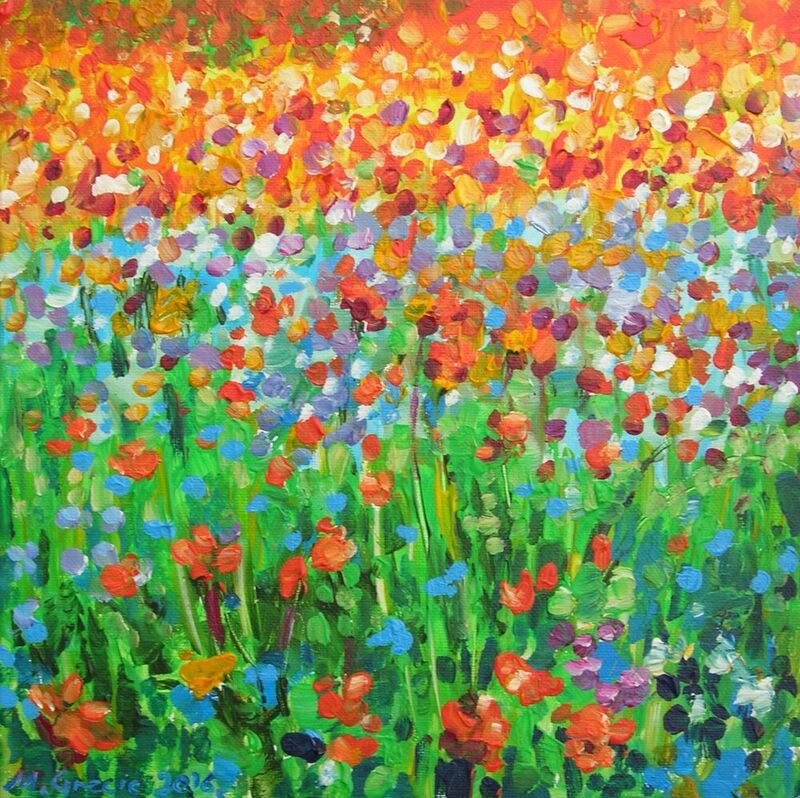 Painting of wild flower meadow made in warm green, orange and blue. It is painted with acrylic paints on a deep edge cotton canvas painted on the sides and it is ready to hang. It is dispatched unframed with Certificate of Authenticity signed by the artist.